Is there a way to size a custom material in each module? 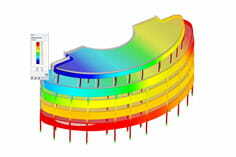 If you want to use a custom material in the design modules, you must make sure that it has the same properties as a standard-specific material. 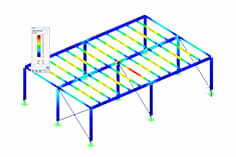 Example: You want to dimension a custom material in RF / concrete according to EN 1992-1-1. To create the material proceed as follows: In the material library, select a material of the EN 1992-1-1 series and select "Create new material ...". Here you can change all given values. All these values are required for a design in the add-on module.